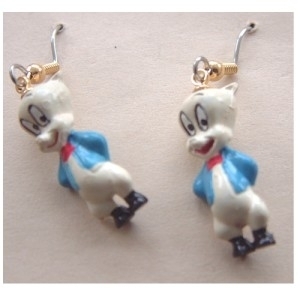 Mini PORKY PIG EARRINGS - Warner Bros Looney Tunes Dimensional Cartoon Piggy Charm Jewelry - 3-d Miniature Rubbery Plastic Ornament Charms, each approx. 1? tall.